It’s important for your health to know your weight, but especially where body fat is. To have fat in and around your abdomen, is detrimental to your health. A good way tot determine the amount of fat around your belly area is to measure your waist circumference. Measure the narrowest section of your waist or measure your waist between your lowest rib and the top of your hipbones. 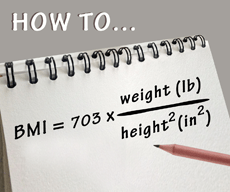 For correct measurement you need to exhale and then measure your waist circumference. If your waist circumference is higher than 102 cm / 45” for men or higher than 88 cm/ 35” for women, you will have an increased risk for Type 2 Diabetes and Cardiovascular disease. It is important to realize that having fat around your abdominal area, is worse for your health than having fat around your hips and buttocks. When you do bodybuilding, you will probably have many muscles en low body fat. Your BMI can go up to 25-30 and you will probably have a good waist circumference. A body fat measurement is a better measurement for you. The Dukan Diet plan is very effective because you can eat as much as you want and still lose weight. Below is an updated list of the 100 allowed foods for the Dukan Diet plan. It is about 68 Pure Protein and 32 Vegetables. During his investigation Pierre Dukan identified 100 allowed foods containing essential nutrients for our body and are rich in protein and another low in carbohydrates and fat. You can eat as much as you want from the Dukan Diet food list during the four phases of the Dukan Diet. Lean meat: Beef tenderloin, fillet, lean ham, extra lean beef, sliced ​​chops, slices of roast beef, pork tenderloin, pork loin roast, bacon soy, veal steaks. Fish: cod, flounder, halibut and smoked halibut, herring, mackerel, monkfish, salmon or salmon mmoked - sardines, sea bass, surimi, tilapia, trout and tuna. Seafood: crab, crayfish, lobster, mussels, octopus, oysters, shrimp. Soy and veggie burgers, tempeh and tofu. The effects of obesity should not be underestimated. By means of your BMI chart you can determine your own health. When you are on overweight or obese, then you run a high risk of numerous diseases. Think of heart disease and vascular disease. In addition, there are numerous conditions such as when you are at high risk if you have too high BMI. Many common diseases are high cholesterol and diabetes. Include things like stroke and cancer to the risks of obesity. If coming from the BMI that you are suffering from obesity, it is wise to consult your doctor.